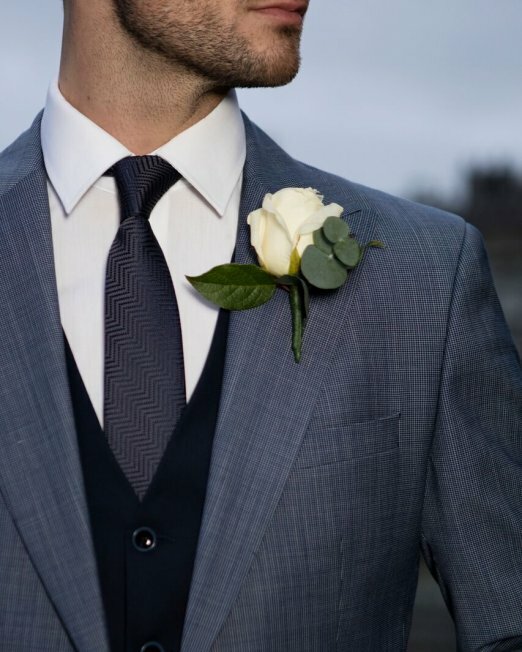 Choose a made to measure suit for your special day, a suit that is made just for you! 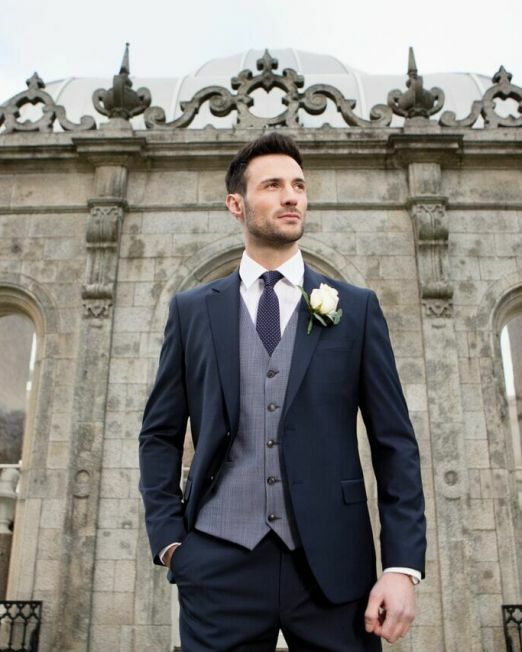 Have you considered a tailored suit for your Wedding day? 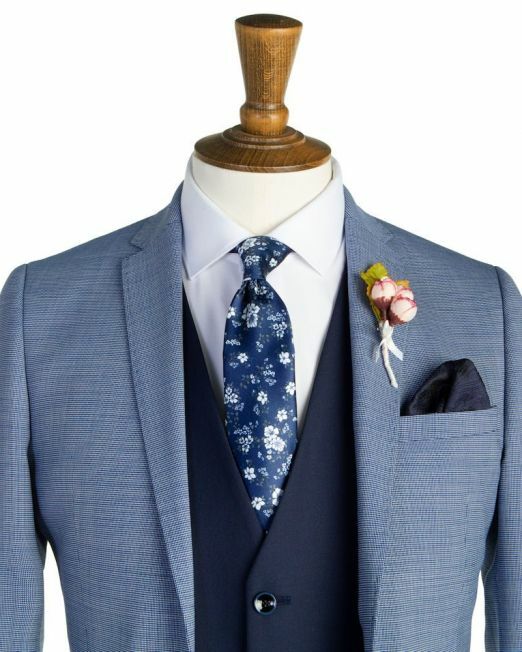 The traditional wedding wear of Morning Suits, Tails and Dress Suits are slowly being replaced by the ‘Continental Look’ which is the Groom either buying a quality tailored plain suit in either 2 piece or 3 piece, or getting a Made to Measure Suit for the special occasion. 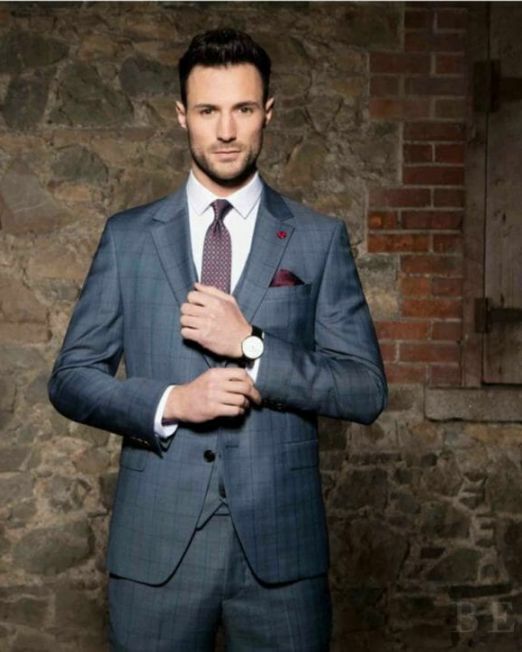 We stock over 900 suits, with brands such as Baumler, Magee, Como, Evolution and Benetti, so we can satisfy most needs, but we would strongly recommend any groom to get a Made to Measure Suit tailored especially for his wedding. It is probably the most important day of your life, so why rent a pre-worn suit for such a big occasion? Made to Measure is the ultimate in luxury, the perfect fitting Suit designed exclusively for you. Click on the link here for our Made to Measure section, and we will take you through the process. 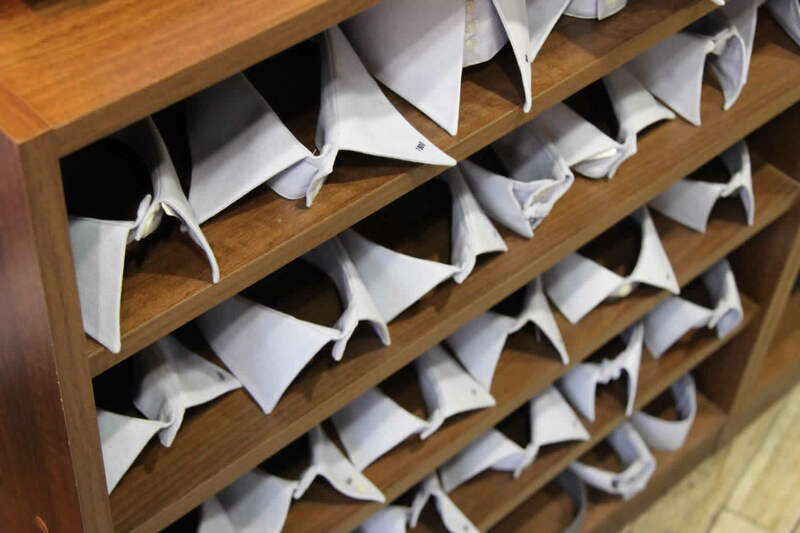 We can compliment any fabric choice with a Swiss cotton non-Iron shirt from our stock or you can also choose to have a Made to Measure Shirt for your important day. We can match the Grooms fabric choice with stock suits for the other members of the wedding party. With suit prices having come down so much recently, a lot of people are buying suits for the wedding party. What we would recommend, is to buy the wedding suits, and we will hire a double cuff shirt, tie/bow tie and top hankie free of charge! If you don’t wear suits often, it might be more prudent to hire suits for the occasion. If you are having the bridesmaids dresses specially made, why not order extra fabric and we can make Ties or Bows to compliment the bridesmaids dresses. We are here to help you, Call 021-4271215 and we can make an appointment and talk through your requirements. All of us have special days in our lives. One of the most exceptional days in one’s life is the wedding day and there is no doubt that people living in Cork love weddings. 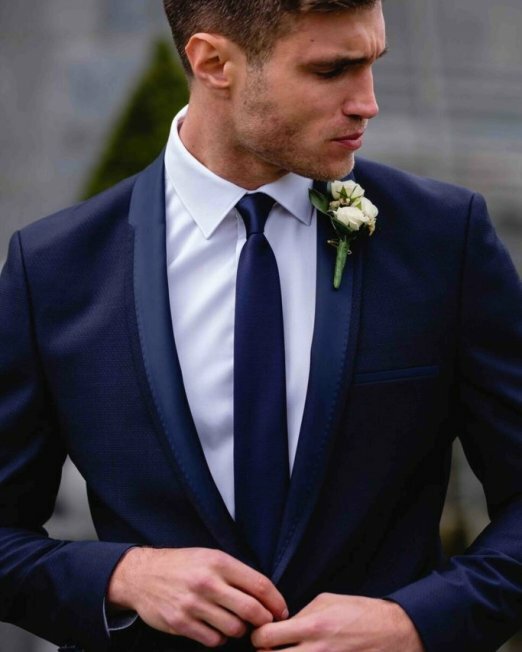 A lot needs to be done in preparation for the big day and if you are the bridegroom, the wedding suit purchase most probably tops your “to do” list. There is absolutely no need to panic because, at Con Murphys Menswear, we offer you priceless tips on how to navigate through this important aspect of your wedding day. The following are tips from our vast experience in dealing with outfitting weddings for over 86 years. You need to remember that you, together with your bride, will be the centre of interest on your big day. Therefore, you need to go for a suit that will make you look absolutely stunning, while on your feet, especially when walking down the aisle and exchanging the vows. This shouldn’t be a suit that you expect to wear in your normal day to day life and hence the conventional rules of formal suits don’t really apply here. Choose an Italian Wool for your wedding suit. They are very luxurious and drape very well. 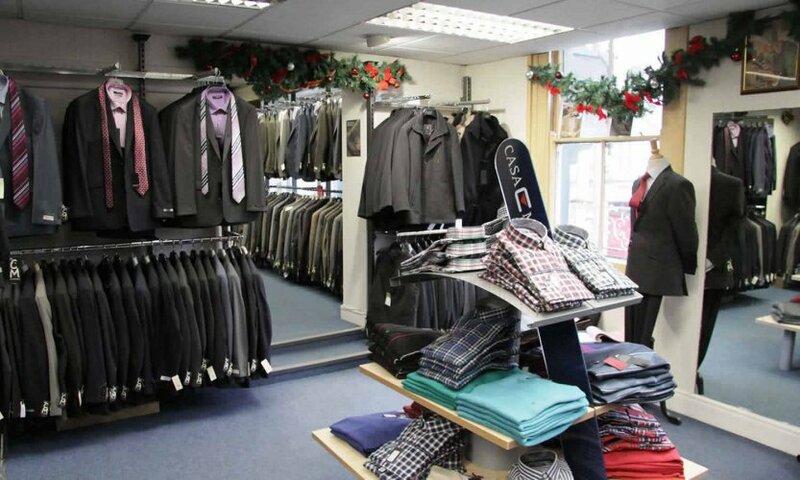 We sell these suits off the rail, or you can get your wedding suit made to measure. At Con Murphys Menswear we can help you get a made to measure suit which will fit elegantly and look dazzling in photographs. This means that it can be custom-made specifically for the function and nobody can do this better than us in the whole of Cork. 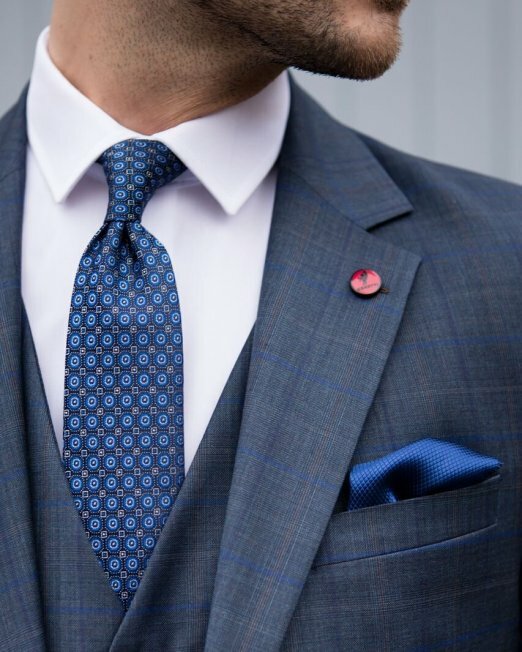 For instance, we can play around with pocket details and the shape of the lapel, to make them more stylish and different from what you might see on a classic or formal suit. For weddings, most people choose something that is unique as opposed to corporate. For instance, having your wedding date or your fiancée’s initials embroidered on its inside. Also, other features such as different coloured buttonholes. You can also go for a dinner suit fashion; single-button complete with peak lapels and angled pockets; or choose a shawl collar in cloth. Since most weddings take place during summer, you can’t go wrong with light shades. Light greys are a favourite of many as they are not only formal and elegant but can also suit different kinds of skin tones. Going navy might not be the best idea, instead try grey-blue or more mid-blue; they look really great. You just have to think differently from business as usual and don’t forget to consider the likely weather of the venue for your wedding. If you suspect that it might be very hot on your big day, go for something that you can easily wear with an open-neck shirt. For instance, lightweight wool that has some grain in it can be quite appropriate. It is always advisable to consider the impact while selecting a fabric for your wedding suit. Heavier materials which can hold their shape are preferable. It is advisable to go for fabrics which form sharp silhouettes. Some choose a more draped and softer appearance. It always depends on individual preferences and what can flatter your physique best. 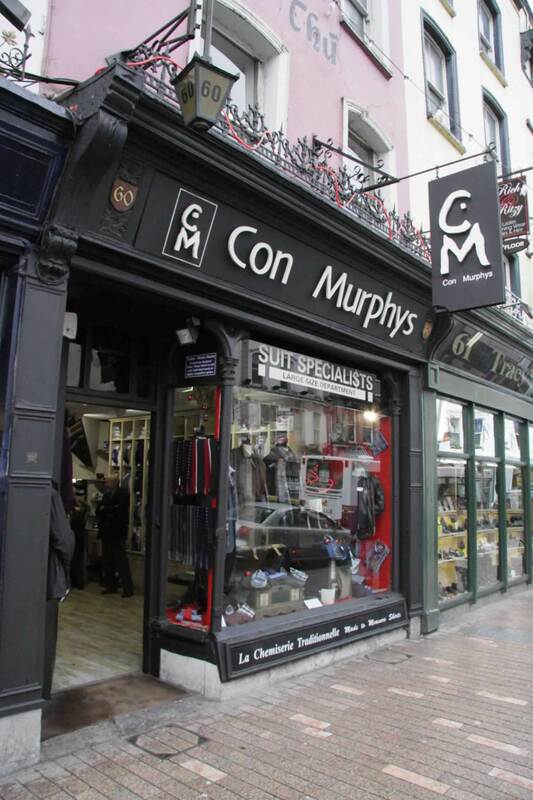 At Con Murphys Menswear, we have the best suit experts in Cork to offer people the necessary guidance. Some customers come to our store with wedding or fashion magazines to point out the kind of suit that they want. We always encourage this since it offers the best beginning point in the search for the most appropriate suit for your big day. It is like going for a haircut with pictures of the hairstyles that you prefer. The experts will then advice which best suits your physique. I've been a regular customer for about two years now and the reputation they have is definitely well deserved. 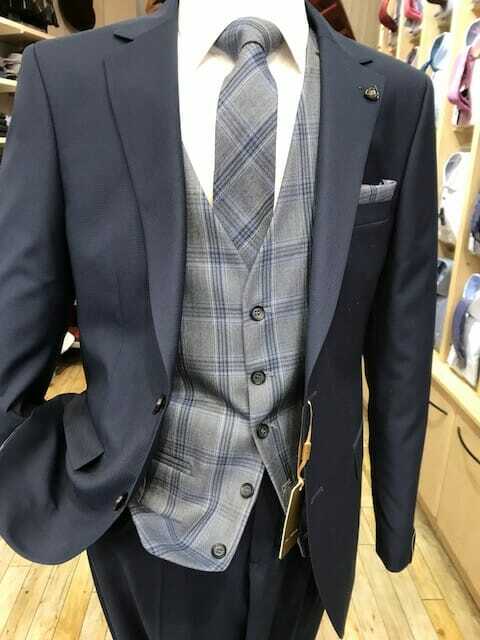 I got a suit as well as more casual clothes and I've been very happy with the quality of the product as well the service. The guys there are very friendly and will definitely help you find exactly what you were looking for.